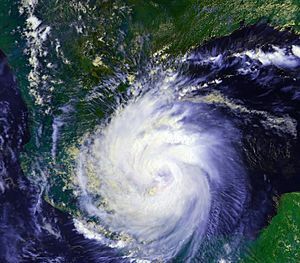 Hurricane Diana struck Mexico in August of 1990 Atlantic hurricane season. Although the hurricane had winds speeding at only 100 miles an hour, the storm still killed more than 130 people. This hurricane also caused more than $100 million in damage (1990 USD). The name Diana was later retired in Spring of 1991 and then replaced by Dolly. Hurricane Diana Facts for Kids. Kiddle Encyclopedia.